The Originals Season 3 finds new enemies coming to town and setting their sights on The Mikaelsons. On The Originals Season 3 Episode 22, Rebekah returned to the family to try and save them, but was she too late? Did anyone else die in the season finale? The Originals Season 3 Episode 21 centers on Freya seeing, via prophecy, that the family is on a collision course with a new enemy. 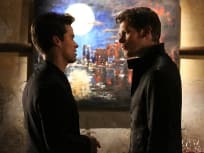 On The Originals Season 3 Episode 20, when Klaus and Lucien end up in a showdown, it creates a chain of events that will forever change all of their lives. On The Originals Season 3 Episode 19, Klaus comforts Cami as everyone else searches for a way to save Cami's life. 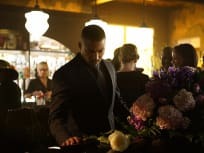 "The Devil Comes Here and Sighs"
On The Originals Season 3 Episode 18, Davina and Vincent come up with a plan to stop the ancestors while the city celebrates Jazz Fest. 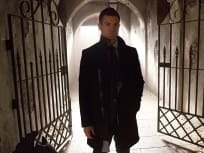 On The Originals Season 3 Episode 17, Elijah and Finn head to Mystic Falls when Freya is kidnapped by a new threat, but Matt isn't happy about the new vampires in town! On The Originals Season 3 Episode 16, rumors spread about the final white oak bullet and it leads new villains to New Orleans. Will everyone make it out alive? 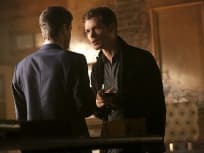 Klaus lears that a former foe has arrived in New Orleans on The Originals Season 3 Episode 15. This does not bode well for anyone. Stefan Salvatore comes to New Orleans on The Originals Season 3 Episode 14, as the crossover from The Vamprie Diaries continues! Aurora uses Freya as bait on The Originals Season 3 Episode 13. She's determined to defeat the Mikaelsons once and for all. On The Originals Season 3 Episode 12, Klaus ends up in an intense standoff against an unexpected enemy. Elijah, meanwhile, tries to regain control of The Strix. On The Originals Season 3 Episode 11, Klaus ends up dealing with pressing matters at home. Elsewhere, Elijah must align with Aya. 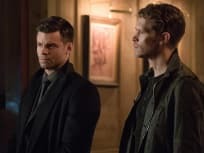 "A Ghost Along the Mississippi"
Klaus and Elijah fight to save the ones they love on The Originals Season 3 Episode 10. The Strix set their plan to take down the siblings into motion. Rebekah returns on The Originals Season 3 Episode 9, but she's not quite herself! Tristan and Aurora have plans for Klaus Mikaelson. 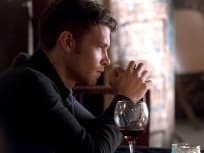 "The Other Girl in New Orleans"
Klaus learns that Cami's life is in danger on The Originals Season 3 Episode 8 and that Aurora may be to blame. Elijah handles Tristan. 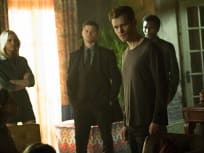 Klaus and Elijah invite Lucien, Tristan and Aurora to a Thanksgiving feast on The Originals Season 3 Episode 7. Why do we doubt it will go very well? Rebekah may be the target of The Strix. Upon realizing this, Elijah and Freya set out to protect her on The Originals Season 3 Episode 6. Klaus receives an unexpected visitor from his past on The Originals Season 3 Episode 5. Meanwhile, the war between the sire lines escalates. 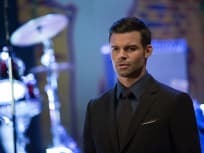 "A Walk on the Wild Side"
Elijah is invited to one of Tristan's galas on The Originals Season 3 Episode 4. Marcel receives an offer he may not be able to refuse. "I'll See You in Hell or New Orleans"
Klaus and Elijah must come together on The Originals Season 3 Episode 3. They must uncover Lucien's true motives for being in New Orleans. Elijah and Jackson are concerned for Hayley's safety on The Originals Season 3 Episode 2. Davina has a plan to make her covens fall in line. 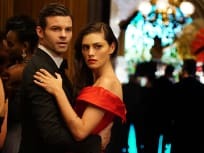 There is a sea change in the Quarter as the arrival of some new characters shores up some more family drama for the Mikaelson clan on a brand new episode of The Originals. I’ll tell you what I know about death, Camille. Death dances silently in everyone’s shadow, and she doesn’t give a damn. So why give a damn about her? Permalink: Always and forever indeed. 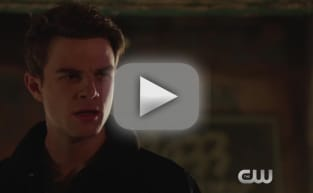 The Originals Exclusive Sneak Peek: Davina Works Her Magic on Kol! The Originals Sneak Peek: Un Finn-ished Business?